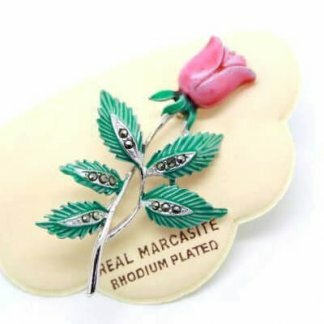 Description: One of the pretties brooches I have seen for awhile. It features stunning prong set navette shaped rhinestones in peridot green & bright emerald green, and central round aurora borealis stones. They are so reflective and shiny, dazzling in the sunshine and shimmering in evening night. 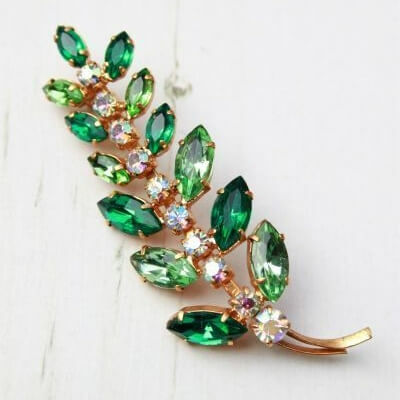 Measuring 8.2cm long this brooch is a must for any vintage jewellery collection. In good condition showing slight wear. 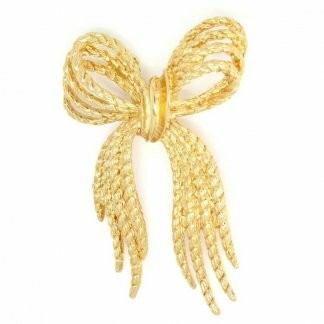 This brooch is shiny and clean with a soft gold plated setting. 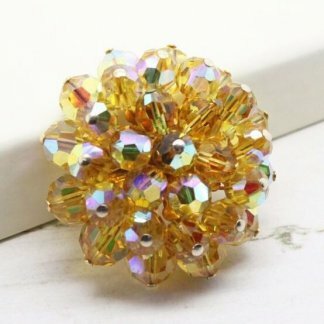 It’s worth noting one rhinestone has a cut from manufacturing which can be seen when looking close but does not effect the wearing of this brooch.